Toyota Canada announced today that it will build a new Eastern Canada Parts Distribution Centre in Bowmanville. The centre is to be built on a 30 acre parcel located at 1200 Lambs Road, north of Baseline Road between Haines Street and Lambs Road. Construction is expected to begin in early 2018 with a goal of starting operations by the fall of 2019 for the first phase of the centre. 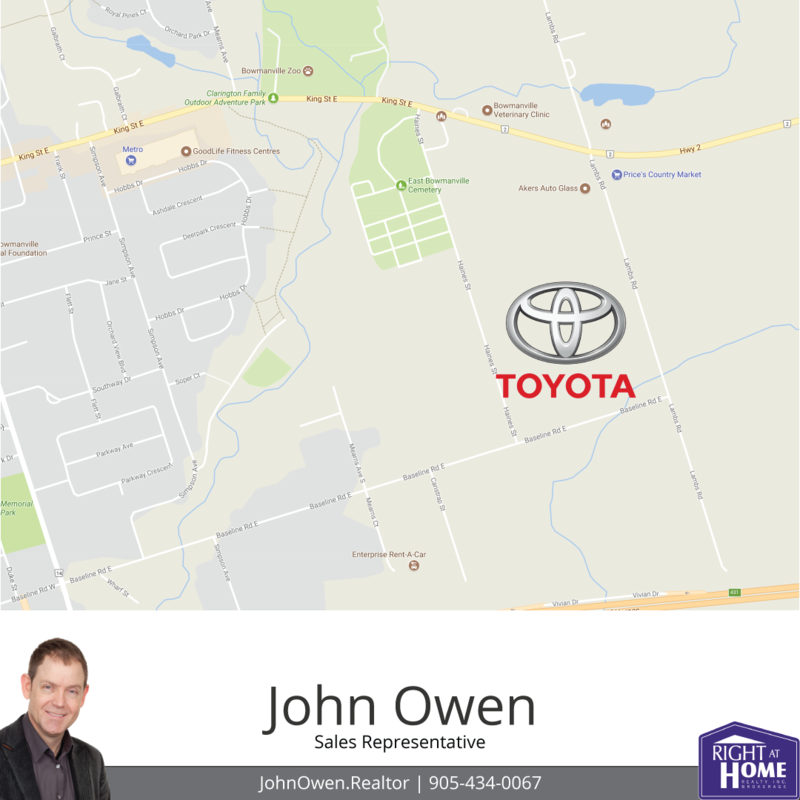 The centre is planned to be fully automated, and will provide parts for Toyota and Lexus for the eastern Canada market. 150 jobs are expected to be part of the first phase of operations.